U.S. Senator Chris Murphy says the Congress should have stayed in session this week to provide new Congressional authorization against ISIL terrorists in Iraq and the Mideast. Murphy will appear on NBC’s “Meet The Press” on Sunday to elaborate on his position. He was one of 22 Senators opposing further involvement in the Syrian civil war asserting that Congress needs to grant a full and new authorization for President Obama to wage a “war” against ISIL. 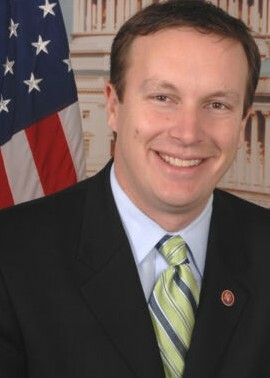 Murphy’s stance raises longstanding constitutional issues between the executive branch and Congress over war powers. Presidents dating back to Korea have skirted the issue by contending that the executive with the President as Commander In Chief could act militarily for “police actions” or conflicts not defined as full-fledged wars. “I continue to believe that President Obama has laid out a strong case for taking the fight to ISIL. I agree with his decision to launch airstrikes against ISIL in Iraq, to compel new leadership in Iraq to achieve political reconciliation with moderate Sunnis, and to put together a broad, international military coalition. The president has shown true, decisive leadership in the fight against ISIL and I applaud him for his strength and resolve. I simply don’t believe an effective strategy to combat ISIL requires America to get more deeply involved in the Syrian civil war. First, the moderate Syrian rebels have shown a disturbing willingness to join forces with Islamic extremists like the Al Nusra Front, a wing of Al Qaeda, and it will be nearly impossible to stop the rebels we train from joining forces with groups that pose a real threat to the United States. Second, it will be hard to thread the needle of supporting a majority Shiite regime against Sunni extremists in Iraq while, at the same time, supporting a largely Sunni insurgency against a Shiite leader in Syria. Third, I believe we are too optimistic that the American trained rebels will target ISIL when their true enemy inside Syria is Bashar al-Assad. Asking a minimally trained army to take on two barbaric foes at once seems unrealistic. This entry was posted in Chris Murphy, Obama, Peace, White House. Bookmark the permalink.